Butterfly crafts are one of my favourite things! I originally did this craft with my kids when they were preschoolers to make cards and wrapping paper for mothers day one year. 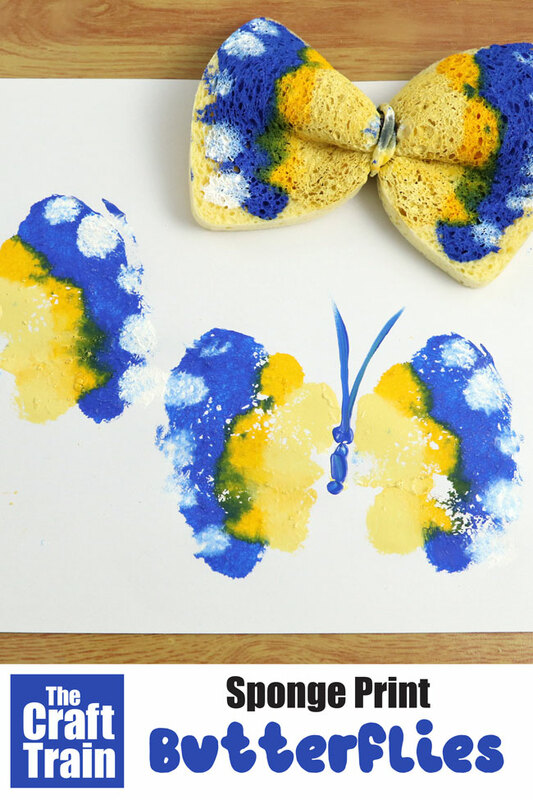 Of course, butterfly prints are beautiful for a regular art activity too, so today we are revisiting the idea to make a simple picture for our wall. 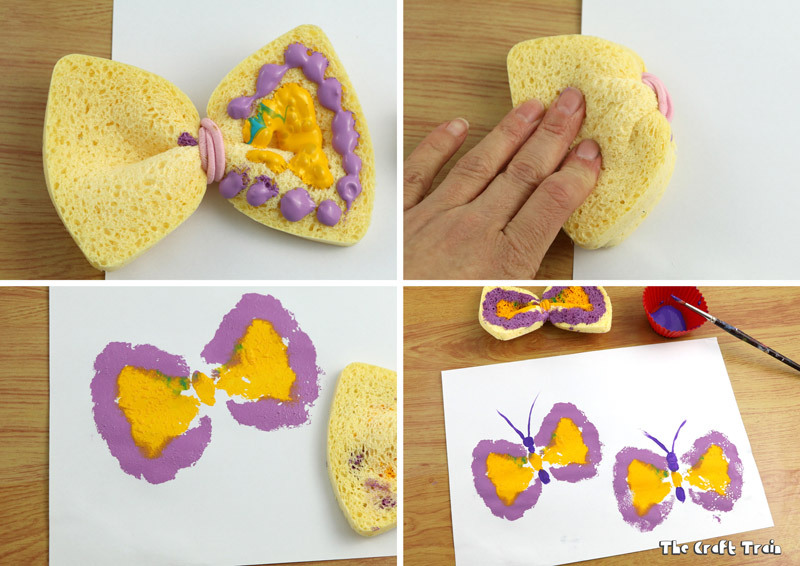 Whilst this is a fun activity for preschoolers it would also be great for older kids. You could talk about symmetry and make different patterns on the wings. 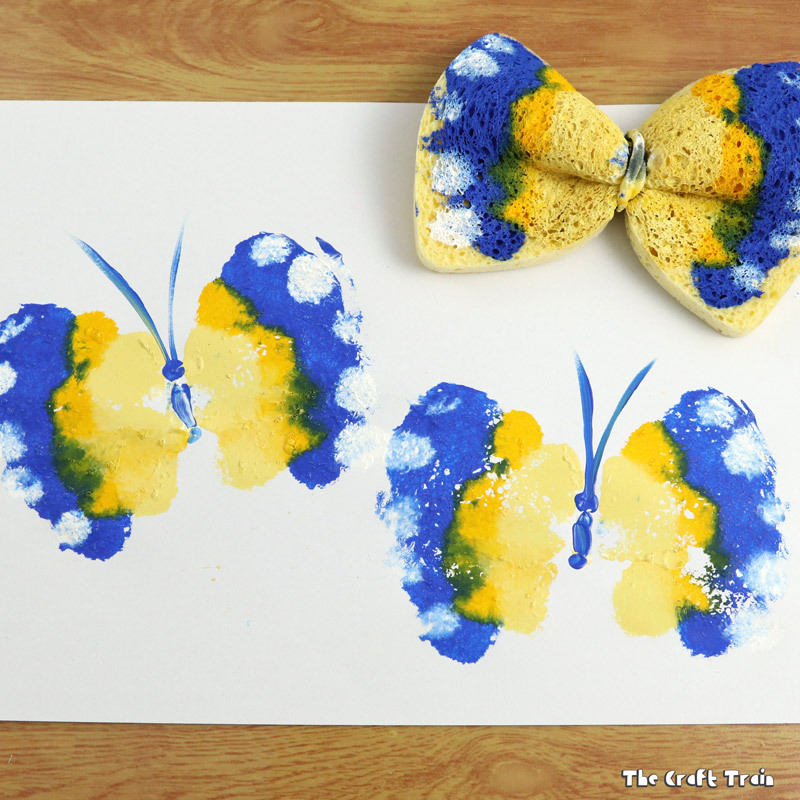 Our Butterfly Squish Art with printable butterfly-shaped templates is another way to do this. 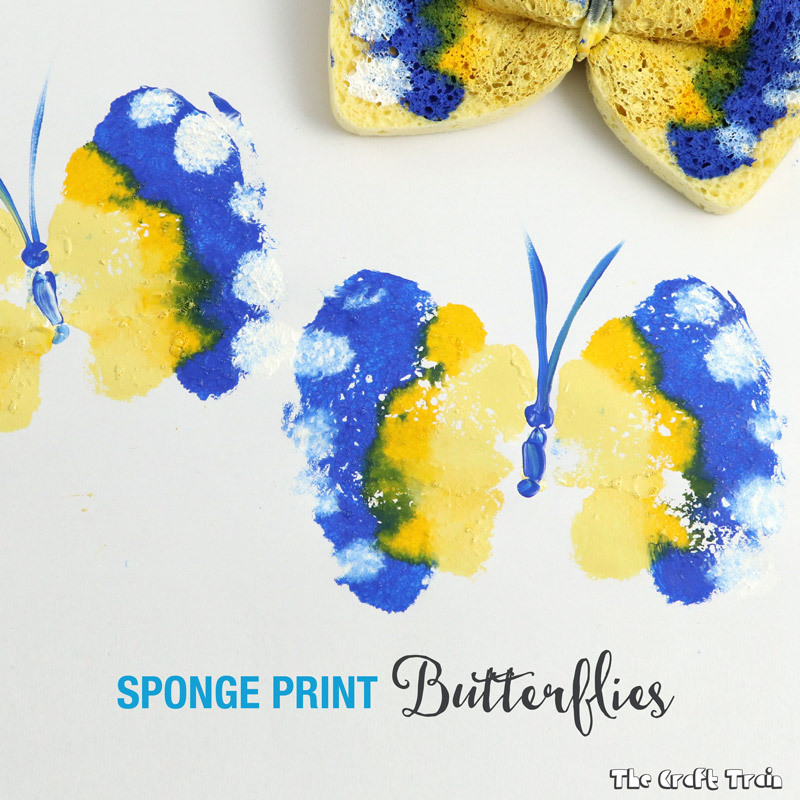 This fun and easy stamping technique uses only paint, sponges and hair elastics (plus paper or your chosen print surface). Watch our short video tutorial or read on for the written instructions and step-by-step photos.